Why are Birmingham investors choosing buy to lets during the housing shortage? With a population that is increasing at an unprecedented rate, and individuals renting for a longer period as they find it harder than ever before to scrape together the money for a deposit, it’s no secret that the UK is facing a chronic housing shortage. Despite the government’s best efforts and promise in their housing whitepaper to build one million homes by 2020, the country looks set to miss this target by a fair amount - if recent figures are anything to go by. Birmingham is one of the worst hit places, with fewer homes available than ever before. And despite the council looking at other local areas, such as Sutton Coldfield’s greenbelt, this has done nothing to dampen demand in the city. As a result, the housing shortage has brought with it fierce competition between house hunters, but of course it’s not just those looking for a house to live in that are battling with each other to grab their dream home. There’s thousands of investors and property developers knocking around, all looking to snap up a pad that will help them to see a return on investment over the coming years. So with such a serious housing shortage, it’s easy to see why people in Birmingham are choosing to see homes as an investment. Birmingham City Council can’t be accused of not caring. The council has an agreement in place which matches council tenants and those on the housing register with landlords. The scheme aims to reduce the number of people in the city living in unsuitable properties. It ensures its inhabitants are cared for, but also almost guarantees landlords’ rent from the offset - if they choose to accept DSS tenants. Those landlords who take part in the scheme will also benefit from the council maintaining the property and surveying it when the tenant moves out to ensure it is in good condition, before placing another tenant. The council has also taken a step to reduce the number of unoccupied properties, which could be used to house citizens in the borough, by turning its back on council tax discounts. This move ensures that landlords are liable to pay the full price for empty properties or those classed as a holiday home – and this rises to 150% once a property has been vacant for two years. 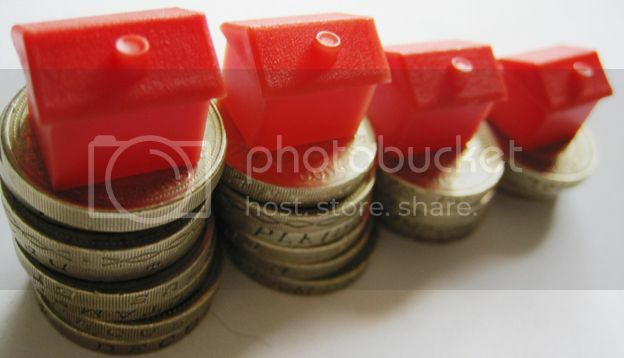 Investors are always looking to make the most amount of money from a property. And often, one of the best ways to do this is to split up a property. A 2-bedroom terraced house, for example, could easily be split into three flats in order to maximise profit. And as Birmingham is a young city, there’s always plenty of youngsters looking for a smart city flat that will suit their lifestyle. Converted houses are also eligible to take advantage of the councils landlord scheme to ensure longer periods of tenancy. Home to three universities and numerous colleges, Birmingham is awash with students all looking for somewhere to put down roots for a year or two. Selly Oak, Perry Barr, and Harbourne are the top student areas in the City and student lettings are some of the most profitable. This is because rooms are often let out individually instead of a whole house. These properties, known as Houses of Multiple Occupation (HMOs), are often a good investment as there is minimal to no modification needed. This can add up to around a 25% increase in rental income. More young professionals are also choosing to rent a room over an apartment or a house, so it’s a strong option to consider. Are you an investor? Browse the homes available for rent here. Alternatively, a property being auctioned could provide you with a great base for building up a profitable property.